St. Benedict’s Abbey was founded in 1857 by two monks who were sent to Kansas at the direction of Abbot Boniface Wimmer, OSB in Latrobe, Pennsylvania. The monks there labored to bring the sacraments and education to the newly expanding frontier, facing droughts, long travels, few members, and a mounting debt. Through all of these struggles, the monks persevered. The monks of St. Benedict’s Abbey immediately started servicing Catholics in the area and establishing parishes. Priests were known to travel a wide circuit on horseback, administering the sacraments with those that they met, sometimes meeting obstacles, hostile people, life threatening storms, and other frustrations. Their range extended through a large swath of Kansas, Missouri, Nebraska, and Iowa. The monks simultaneously founded St. Benedict’s College to educate settlers in 1857. It later merged with Mount St. Scholastica College to form Benedictine College in 1971. The monks have remained actively involved with the college. 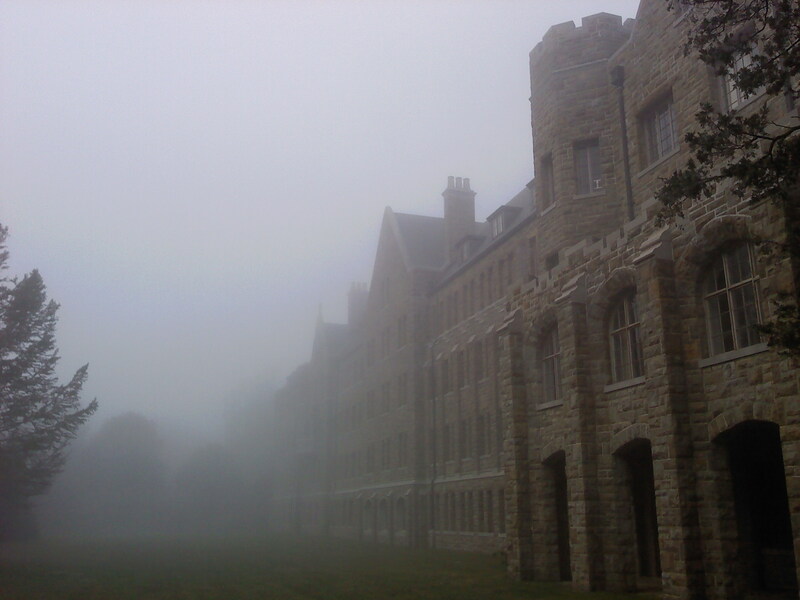 For over a hundred years, the monks staffed the classrooms, dorms, and other places on campus. Yet even as the need for a lay staff grew with a decline of numbers, the monks have never ceased supplying the students with the sacraments, giving them spiritual direction, and teaching. The monks also began a boarding school called Maur Hill Prep School, which merged with Mount St. Scholastica Academy in 2003 to become Maur Hill- Mount Academy. MH-MA continues to educate high school students according to Benedictine values today. Several monks fill chaplain and teaching roles there. The monastery also has a daughter house in Brazil, which was founded in the mid-1960’s. Today, the monks staff several parishes in the Northeast Kansas area, fill the roles of teachers and chaplains at Benedictine College and Maur Hill-Mount Academy, and fill a number of other roles in the area. The community has approximately 30 monks living in house out of roughly 50 or so in the community. Stability means that a monk promises to make the monastery he has entered his home. Monks do not change houses as one would expect Franciscans or Dominicans to do. The monastery becomes his permanent place of residence and it is there that the monk will find God in the daily life of the monastery, in his confreres, and in prayer. It is the vow of stability that makes a religious a monk. The monk promises to obey the Abbot as Christ- accepting that Christ will make his will known to the monk through the orders, teachings, and care of the Abbot for his flock. Obedience is a mysterious surrender, in which the monk distrusts his own ability to choose the good and places himself under the guidance of his abbot. The monk therefore pledges obedience to the Abbot- binding himself all the more strongly to following Christ’s will. This vow does not translate well into English. Conversatio Morum has a sense of pledging faithfulness to the monastic way of life. It also has a sense of ongoing conversion- of promising to constantly focus on reforming one’s self to the Gospel way of life so as to continue his encounter with Christ in the monastery. It keeps the monk from “falling into a rut” in his spiritual life- to continue to strive to be like Christ in his daily thoughts and actions.